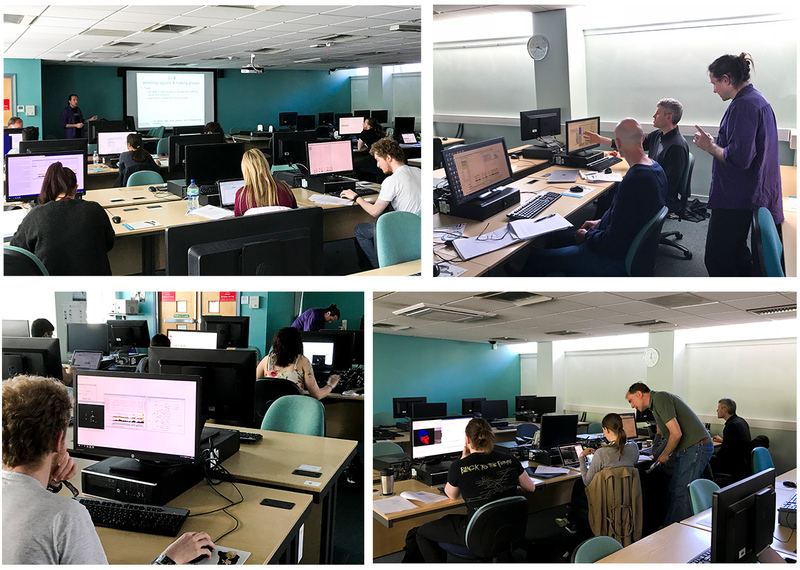 Jim Procter and Suzanne Duce travelled to Liverpool to run a 2-day multiple sequence alignment, protein structure and function modelling workshop with Dr Dan Rigden. In Day 1, delegates learnt how to load data from public databases such as Uniprot, Ensembl and PDB into Jalview and then run multiple sequence alignment, conservation analysis and secondary structure and disorder prediction. Day 2 focused on protein structure visualisation, structure-based function predictions, homology modelling and ab inito modelling.